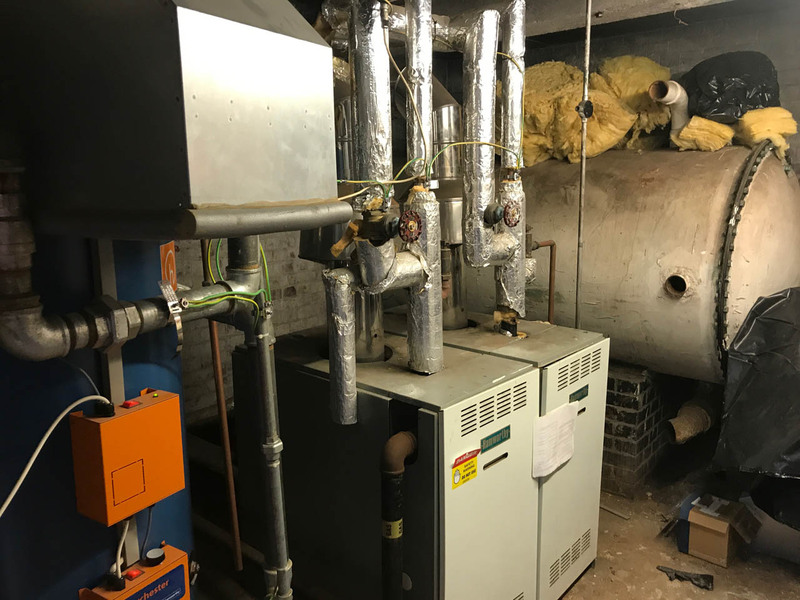 Remove 2 existing 20+ year old Hamworthy boilers & 1 Hamworthy gas-fired water heater, strip out existing pipework & plant equipment. 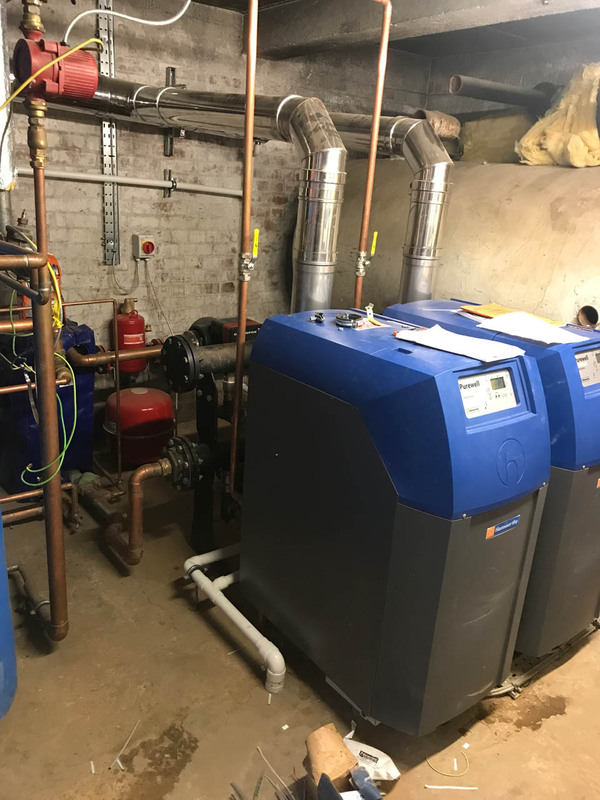 Install 1 x Hamworthy Powerstock 400l calorifiers complete with recirculation pumps. 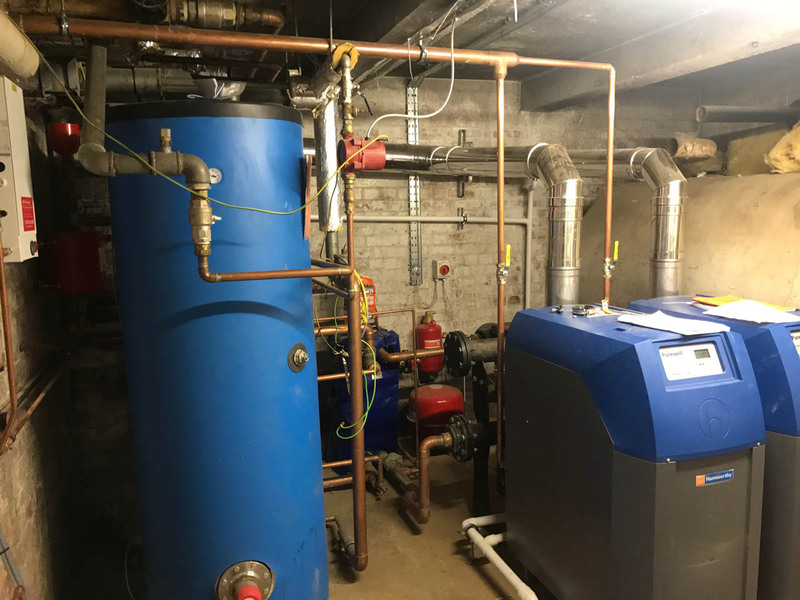 Install all new primary and secondary connection pipework, custom-made plate to plate heat exchanger to separate old aged heating system from new circuits, air & dirt separators, dosing system, auto filling pressurisation unit, Grundfos manga 1 & magna 3 pumps complete with Hamworthy's merely sequence controller to control heating and hot water controls. custom designed flue system.